AirBnB is offering new services aimed at wealthier travellers as it seeks to compete in the luxury travel market. The accommodation site will offer a dedicated section for boutique hotels, bed and breakfasts and more unusual locations such as treehouses and boats. The firm also announced ‘AirBnB Plus’, a stamp of approval for locations it has inspected. The moves follow more stringent regulations being imposed on the company in a number of countries. Recent data published by the San Francisco Chronicle suggested AirBnB lost more than half its listings in the city as stricter regulations took hold. As the company prepares to float on the stock market, this diversification is AirBnB’s attempt to put more eggs in different baskets. That may reassure potential investors concerned that AirBnB’s core business – of homeowners sharing their properties – could be under threat. These latest announcements continue AirBnB’s gradual shift from a company that was created to help those who could not afford hotel rooms into a more traditional travel company. 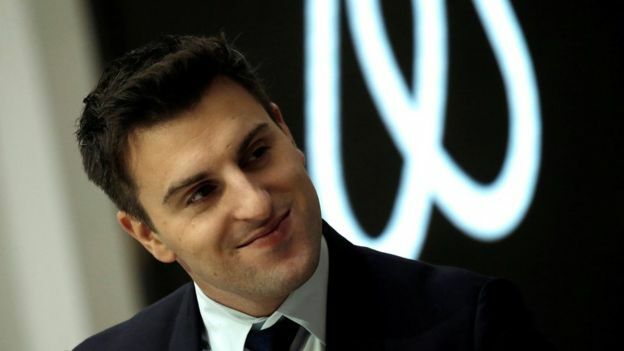 Brian Chesky, AirBnB chief executive and co-founder, made the announcements in San Francisco on Thursday. AirBnB Plus is the firm’s attempt to bring some quality assurance to its listings, removing some of the uncertainty travellers may have about the state of a property. “Airbnb Plus homes have been inspected and verified in person against a 100+ point checklist covering cleanliness, comfort and design,” the company said. While the site has offered hotel rooms and boutique locations for some time, they will now be listed in a separate category, making them easier to find. AirBnB Collections will also group certain types of accommodation for specific trips, such as a honeymoon. AirBnB was founded in San Francisco, and in this small-but-symbolic market the company has seen a dramatic decline in accommodation spaces. Data gathered by the San Francisco Chronicle suggests short-term rentals dropped by more than 50% in less than six months. At the same time, long-term rental site Zillow reported a rise in available apartments in the Californian city. The data was collated by Host Compliance, a firm that aids cities in enforcing regulations on short-term rentals. It included companies other than AirBnB, such as HomeAway and Flipkey. But as the biggest player in short-term rentals, AirBnB has been hit hard. According to the Chronicle, in August 2017 the site had 8,740 listings in the city. By January, that number had dropped to 4,191. Around the world, AirBnB said it has 4.5 million listings. The company told the Chronicle they considered January 2018 to be a “hard reset” and that it was now confident that all of the listed spaces were fully compliant. Many of the disappearing properties were assumed to rental tenants renting out spare rooms without the knowledge of the homeowner. San Francisco is not the company’s biggest market – that is Paris, followed by London and New York. But what happens here could provide a blueprint for other cities, particularly those where affordable housing is at a premium. “Platform accountability works and works very, very well, just as we expected,” said Dale Carlson from ShareBetter SF, a group calling for stricter regulations on short-term rentals. Exactly when the company aims to list on the stock market is unclear. Last month, chief financial officer Laurence Tosi departed, with reports suggesting internal tensions over how long the IPO process was taking. AirBnB is now not expected to list until next year at the earliest.